WASHINGTON, Dec. 27 (UPI) — Pulitzer-prize-winning journalist Seymour Hershreports that the administration of President Barack Obama, in particular the CIA, has knowingly armed militant Islamists in Syria, including the Islamic State. 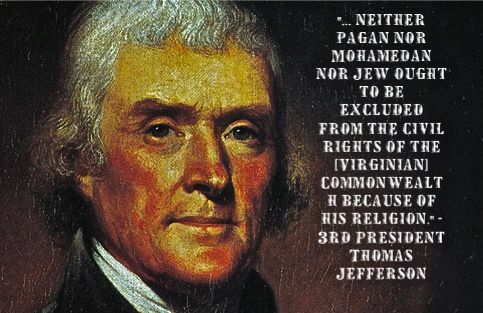 Thomas Jefferson held the 1st White House iftar. Senator John McCain responded in kind on Sunday to President Barack Obama’s joke at the White House Correspondents’ Association dinner that his 2008 presidential rival that could be the White House’s best line of defense against recent security breaches. 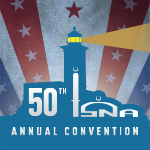 …The ‘Summit on Countering Violent Extremism’ is a promising step in addressing the problem of extremism and domestic terrorism in America,” said ISNA President Azhar Azeez. “While violent Muslim extremism is a serious concern, the summit should not just focus on it to the exclusion of other threats. According to a study just published by the Southern Poverty Law Center (SPLC) entitled, Age of the Wolf: A Study of the Rise of Lone Wolf and Leaderless Resistance Terrorism, the vast majority of domestic terrorism and extremism comes from lone wolf terrorists who are not Muslim and identify with the radical right. 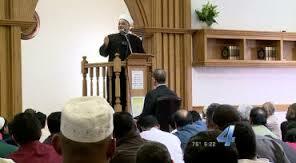 Muslim extremists make up only a very small percentage.” more: .isna.